Welcome to the Southern Maryland Food Bank and Outreach Services’s new website! Please browse through the pages located in the menu at the top of the page for all information about our mission, what we do and how we help to ease the pain of hunger in Southern Maryland. Have any questions, comments or concerns? Please drop us a line by using our contact information on the upper right hand side of the menu. 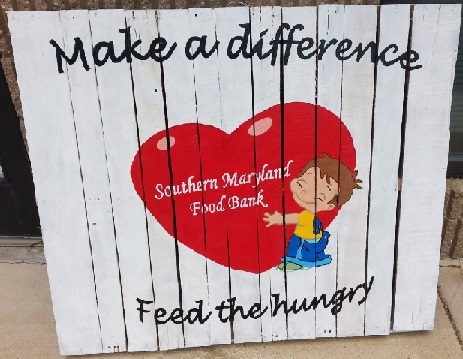 The Southern Maryland Food Bank covers more than just our programs! Click -HERE- for pantry resources in the Southern Maryland area. Partners from all over Southern Maryland has supported us and shown us a lot of love over the years! We truly wouldn’t be able to do it without each and everyone of you! Click -HERE- to see them all!